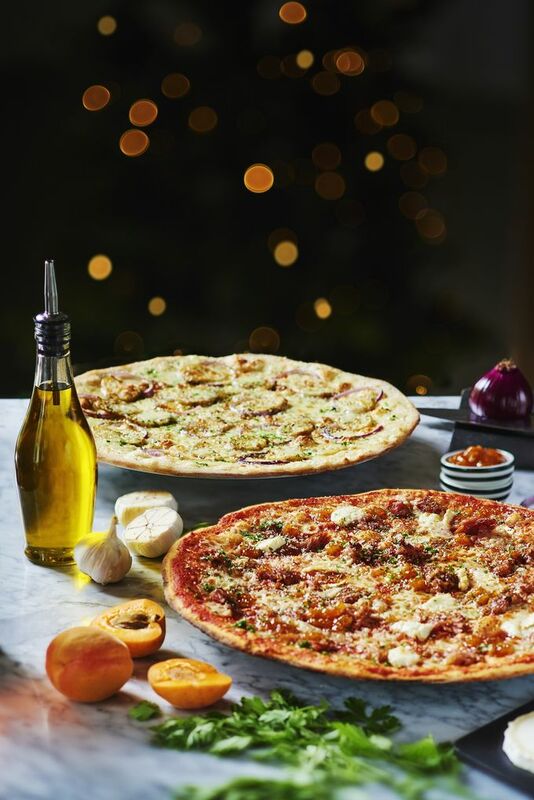 Two new pizzas feature on Pizza Express' festive menu. Pizza Express has launched a festive set menu priced at just £20.95 for three courses and a glass of fizz. Until 1 January, Sheffield’s Pizza Express restaurants at Devonshire Street, St Paul’s Place and The Light cinema, will be serving up delicious Christmas specials alongside trusted favourites. Festive additions to the menu include maple-glazed gammon pizza with spiced apricot chutney and goat’s cheese finished with fresh parsley; chicken liver pate and snowball doughballs – Pizza Express’ famous dough balls with cinnamon and icing sugar with your choice of a vanilla cream or salted caramel dip. Some Pizza Express favourites also feature on the set menu, including the sloppy giuseppe pizza, pollo pesto pasta and for those who still want to fit into their outfit come New Year’s Eve, the leggera pollo ad astra, a chicken pizza that comes in at less than 600 calories. For the little ones, the Piccolo menu full of mini adult favourites for £6.95, including the festive addition of snowball dough balls. They can also get creative, colouring in their own bauble and activity pack. As an extra incentive for you to book in with the restaurant over the festive season, whether it be to catch up with friends or celebrate with family, Pizza Express is offering the booker their meal for free when a table is booked for five people or more. For more information, to book a table, or to view the terms and conditions please go to the Pizza Express website. Hang about after work and enjoy some food and drink before your entertainment in Sheffield after 5pm.